3. Preacher gets doomsday wrong ... twice! Our annual Weird Science Awards pay tribute to the strangest scientific tales of the past year, and you just know the 2012 edition had to be a doozy. While we're waiting for the Maya apocalypse — and we may be waiting a long, long time — let's count down the top 10 Weird Science stories, as determined by an ironically unscientific Live Poll. No. 10 is the discovery that having a painful need to urinate can impair your judgment. "When people reach a point when they are in so much pain they just can't stand it anymore, it was like being drunk," says Brown University neurologist Peter Snyder. "The ability to hold information was really impaired." To say nothing of the ability to hold water. The research won Snyder and his colleagues a share in one of 2011's Ig Nobel Prizes, which honor science that makes you laugh, and then makes you think. Watch Snyder explain the study in this YouTube video, then click the "Next" button for more laugh-provoking science — or scroll quickly all the way down to the bottom if you have a painful need to go. Researchers have found that the fruit fly is a useful model organism for studying the whole-body effects of methamphetamine exposure. When researchers noticed that meth addicts often take in large amounts of sugary drinks, they decided to do a little experiment: First, they got fruit flies hooked on methamphetamine. 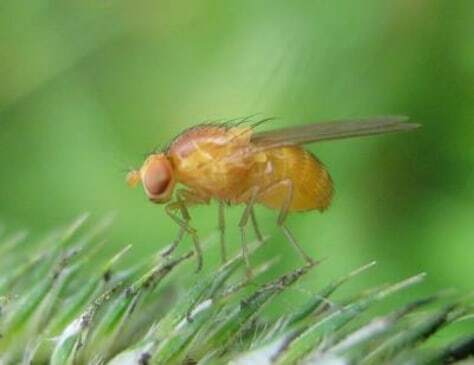 Then the scientists fed some of the flies a diet heavy on trehalose, an insect blood sugar. They found that the sugar-gobbling flies outlived the flies who didn't get the sweet stuff. Maybe sugar metabolism plays a role in meth's toxic effects. "Hopefully, some of these insights might lead to opportunities to deal with the problems associated with the drug," says University of Illinois toxicologist Barry Pittendrigh. But more research is required to trace the effects on mammals. In the meantime, watch out for those meth-head fruit flies. 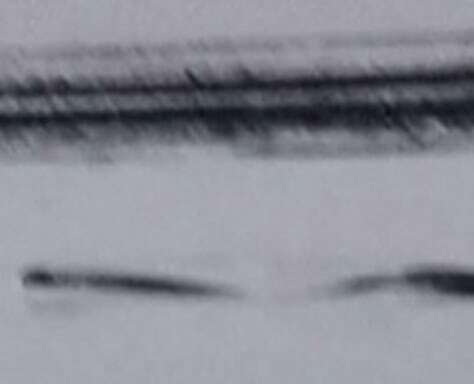 A photo from a video that claims to show Alaska's own version of a sea monster. 2011 saw a double-header (so to speak) in the marine-monster category. The most popular Loch Ness monster-like picture came from Alaska, where Andy Hillstrand of the "Deadliest Catch" TV show captured the footage for the Discovery Channel. Some might suggest that the creature is an eel, or a fish, or even a trick of light on the water. Not Hillstrand. 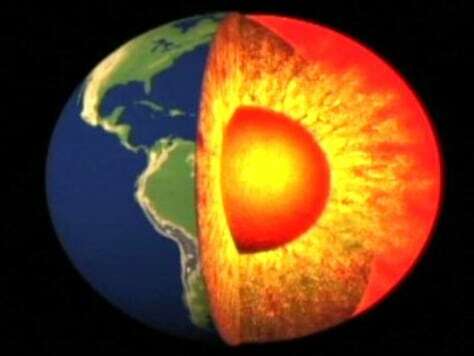 "I've never seen anything like it," he told Discovery News. He suspects that the picture shows a Cadborosaurus, a legendary beast that has long been said to frequent Alaska's waters. Meanwhile, another picture purporting to show a creature that's been nicknamed "Bownessie" made waves in England. Photos demonstrate the inducible glow-in-the-dark effect in a genetically modified dog: The left images shows the dog's paw in normal light (upper left) and under ultraviolet light (lower left) after doxycycline is added to the dog's food. 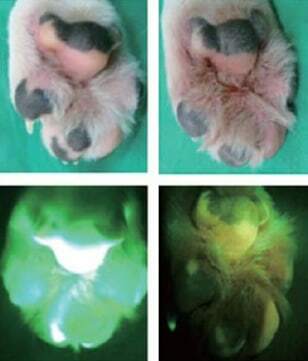 The right-hand images show the dog's paw in normal and ultraviolet light after scientists stopped administering the drug. In past years, our Weird Science Award winners have included glow-in-the-dark kitties and glow-in-the-dark puppies. How could scientists possibly top that? Would you believe a dog with a gene that turns the fluorescence under UV light on or off, depending on whether a particular drug is added to its food? That's exactly the kind of dog that South Korean scientists produced in 2011. Why, you ask? Well, the ultimate aim of these glow-in-the-dark exercises is to splice in genes that can help treat diseases — and having an on-off switch would give physicians more control over the treatment. That feat would make other researchers turn green ... with envy. Samoa and New Zealand-administered Tokelau skip a day as they jump over the international date line in an attempt to improve trade and tourism. For more than a century, Samoa was on one side of the International Date Line, and Australia and New Zealand were on the other. When the Samoans were at Sunday church, the Aussies were starting their business week on Monday. 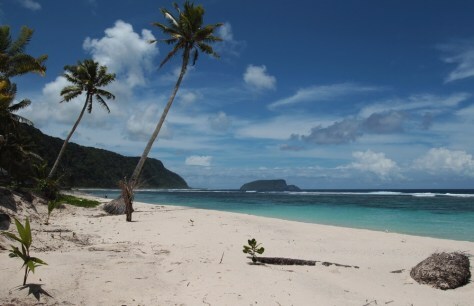 And when Samoa was trying to finish up its own business week, the Kiwis were settling into the weekend. To remedy that, the Samoans switched over to the Australia-New Zealand side in 2011, going directly from Thursday, Dec. 29, to Saturday, Dec. 31. To top it all off, workers were paid for the non-existent Friday. If only we could all get to the weekend that quickly ... and spend it on a tropical island. Might as well face reality: Shift happens. Earth's shifting magnetic poles are not a sign of the apocalypse. They're just a fact of life on our dynamic planet. We do have to cope to the shift that life throws at us, though. For example, in early 2011, Tampa's airport had to repaint the numbers on its runways to reflect their shifting orientation with respect to magnetic north. The good news is that even dramatic changes in the poles' position would have no effect on life on Earth, despite what the doomsday prophets say. "Build a better mousetrap and the world will beat a path to your door." Does that old saying apply to building a better corpse-dissolving machine as well? Resomation Ltd. hopes so. The Scottish company installed its machine in a St. Petersburg, Fla., funeral home and hopes the system will be legalized in other jurisdictions. 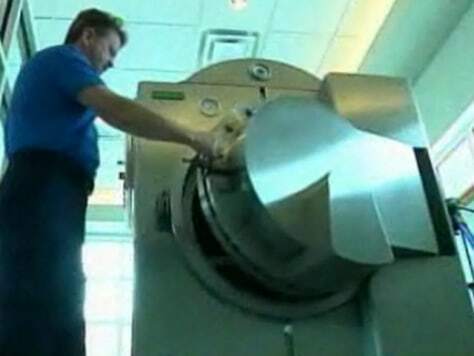 The alkaline hydrolysis unit liquefies a body's soft tissues and flushes the sterile liquid into the municipal water system. The bones and other hard parts are left behind to be crushed. Company founder Sandy Sullivan says the machine lets people express their environmental concerns "in a very positive and I think personal way." Sounds good, as long as they don't put a Soylent Green factory next door. First, figure out exactly when Noah's Ark was floated by the Flood, and exactly when Jesus was crucified. Then come up with an arcane biblical numerology to add 7,000 years to the former, and 722,500 days to the latter. 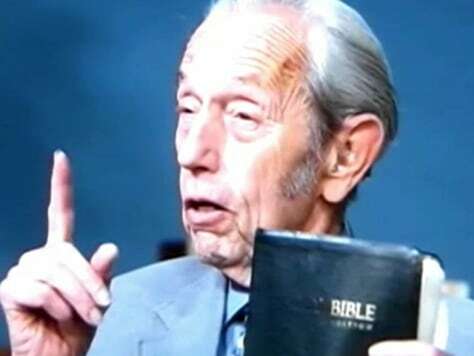 That was California preacher Harold Camping's formula for determining that May 21 was the date for the beginning of an apocalyptic Rapture. When May 21 didn't work out, he said Oct. 21 was the fallback date for the end of the world. And when that didn't work out ... well, now Camping says he's rethinking this whole doomsday business. But what about the 2012 apocalypse? That's too kooky, even for Camping. "Mr. Camping does not believe the Mayan calendar holds any significance at all," a spokeswoman says. Camping's mathematical acumen earned him a share in one of 2011's Ig Nobel Prizes. A dead blackbird on the ground in Beebe, Arkansas. 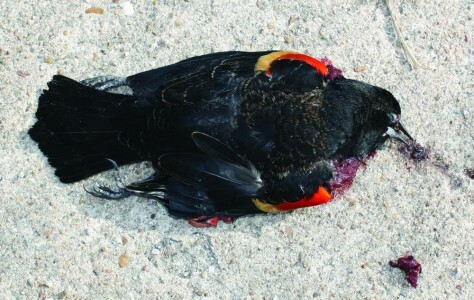 The year 2011 was rung in with a series of reports about mass die-offs, involving blackbirds (the so-called "Aflockalypse" in Arkansas), fish, crabs and other creatures. Some wondered whether a global environmental crisis was in the offing, but experts said the Aflockalypse was simply a case of people connecting the dots between unrelated events, facilitated by global communication systems. Die-offs can happen for a variety of reasons. The Arkansas blackbird deaths, for example, took place after the birds were spooked by New Year's Eve fireworks. And wouldn't you know it? The Aflockalypse happened again to kick off 2012. A dead ant, after being zombified by a species of parasitic fungus. 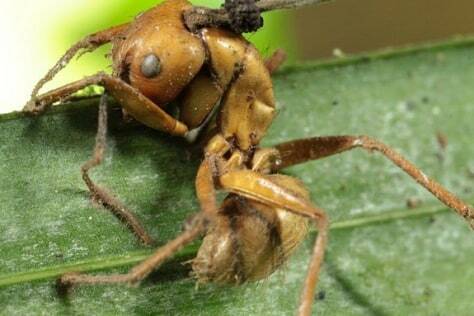 The brain-controlling fungus turns ants into zombies that do the parasite's bidding before it kills them. If books like "Pride and Prejudice and Zombies" and video games like "Resident Evil" can generate billions of dollars in sales, it shouldn't be surprising that the top Weird Science honors go to a story about zombie ants being taken over by a brain-controlling fungus. The fungus apparently uses temperature cues to decide when to have the ant clamp down on a cool leaf with a death grip. Pennsylvania State University's David Hughes speculates that the fungus does its thing to ensure it "has a long cool night ahead of it, during which time it can literally burst out of the ant's head to begin the growth of the spore-releasing stalk." It's the perfect plot for a horror movie directed by one mean mother: Mother Nature. 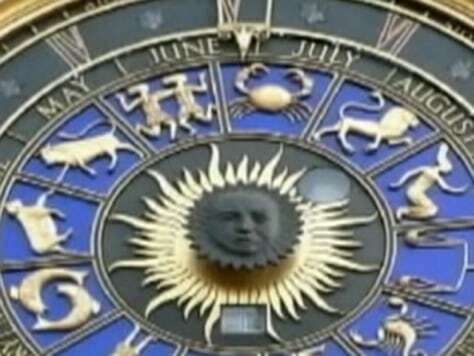 Does 13th zodiac sign mean your horoscope is wrong? Was the Shroud of Turin created in a blinding flash?